(June 12, 2018) — One of the key points I hit every time I give a talk is this—we’re at war. The battle raging all around us is a war of ideas, a war over the best way to run our country, the best way to raise our children, the best way to live our lives. This war is bigger than left versus right, liberal versus conservative. The real war is a spiritual one. It’s a battle for souls that will rage until Jesus comes again in his glory. Men cannot be passive. We’re called to engage. Father’s Day is a great time to take stock of the battle—and the role we’re called to play in this war for souls. At the end of it all, when we take our last breath, we’ll face Him—the Lord of Lords. If we’ve been faithful and selfless, living our lives for others, we can expect Jesus to say, “Well done, good and faithful servant” (Matthew 25:23). Our job as members of the Church Militant, in a nutshell, is to get to Heaven and to take as many people with us as we can. If that’s firmly planted in your frontal lobe, chances are you’ll be counted among the saints in Heaven. Twice as likely to drop out of school. That’s just the physical side. The spiritual side is even worse. 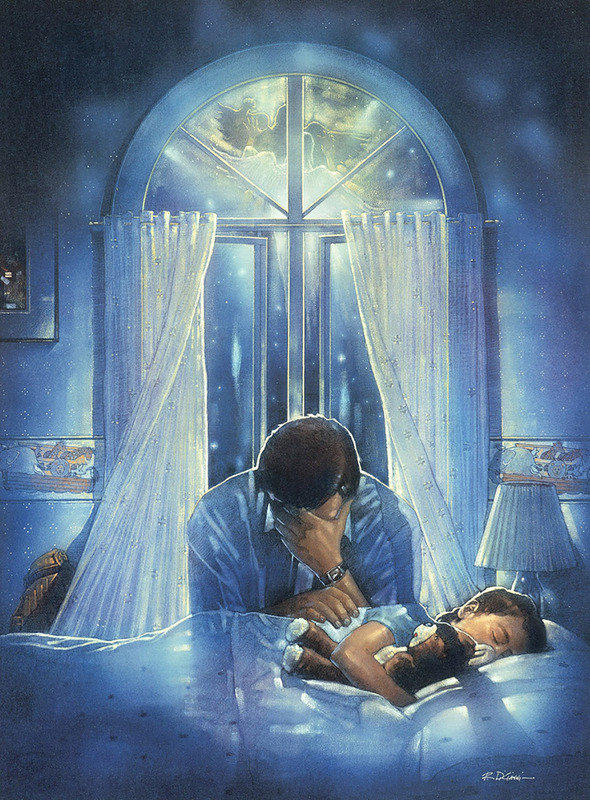 When men fail to lead spiritually, children suffer in a way that has eternal consequences. A 2000 study found that when both fathers and mothers attended church regularly, about 41% of the children would go to church when they reach an adult stage. Amazingly, when the father attends church on an irregular basis, 60% of the children reaching adulthood will be irregular attendees or drop out altogether. When the father doesn’t ever attend church, only 2% of children that grow into adulthood will attend church with nearly none of them ever becoming Christian. When this same equation is with the mother, the numbers are not nearly as drastic. The conclusion is that fathers have the greatest influence on their children’s lives and have the most impact on their becoming a Christian and attending church regularly as adults (Patheos.com, The Importance of Good Christian Fathers). Herein lies the challenge for us as fathers. Our call is to mirror God the Father, which begins by being a devoted son of the Father. No small task, but it must always be rooted in prayer. Our children will do what we do far sooner than they’ll do what we say. Our words matter, but our actions speak far louder. If we’re devoted to our faith—praying the rosary, going to Mass, leading the family in prayer—our children are much more likely to take the faith seriously. We must love our wives. Never stop trying to win her heart… even if you already have. My father was madly in love with my mother to the day he died. I’m convinced his love for her only increased when he crossed the threshold of Heaven. When your sons witness your love for your wife, they’re more apt to do the same when they’re married. Your daughters will look for a husband who will love her like you love your wife. On top of that, our children need to know they are loved eternally. God loves them, and their destination is heaven. If we get this right, the rest is gravy. Men, your presence and mission in the family is irreplaceable! … We need faith like that of our fathers who defended the children of previous generations and who gave up their own lives rather than abandon their faith in Christ. My sons and brothers, men of the Diocese of Phoenix, we need you to step into the breach! St. Joseph, patron of fathers, patron of families, patron of the Universal Church, pray for us! PATRICK NOVECOSKY is the president of NovaMedia and editor of this blog. This article appears simultaneously in the blog section of The Troops of Saint George. FEBRUARY 1, 2011 — I haven’t gone on a retreat in a while, but I think this is my year. There’s a lot of wisdom in stepping out of our fast-paced world where instant communication — and gratification — are part of our everyday experience. Don’t get me wrong. There’s nothing wrong with instant communication. It helps make life in the 21st century one of the most exciting times in human history. It enables us to spread the Good News around the world in a microsecond. Nor is there anything wrong with most kinds of instant gratification. My handy microwave allows me to have a hot lunch in less than a minute. However, the instantaneousness of our culture can be all-consuming. It can also be a distraction from the things that matter most. Many of us — I dare say, most of us — don’t take enough time alone with God. My hand is raised because I’m in that camp. I’m quick to ask God for the things I need and to say “thank you” for prayers answered — but the truth is, my prayer time is inadequate. One thing that taking quiet time for prayer does — especially on retreat — is help us recognize who we are in relation to God. With every year that goes by — or even with every nanosecond, for that matter — we are each closer to our final destination. The Church teaches very clearly that we have two options: heaven or hell. (Purgatory is just a pit stop along the way to heaven.) The choice is ours. We either choose Christ and his Church to the best of our ability or we walk away from it and do our own thing. That might seem a little black and white, but Christ taught in pretty clear terms. He didn’t say, “I am one of the ways.” He said, “I am the way and the truth and the life. No one comes to the Father except through me. If you know me, then you will also know my Father” (Jn 14:6-7). I love this passage because Jesus is very clear in his final discourse to the disciples before his passion and death. His mission was to make God the Father known and open heaven to a fallen human race. How do we achieve the end for which we all were created? By knowing Jesus. Knowing Jesus means more than knowing about him. It means taking the time (prayer) to cultivate a relationship with the One who knows us best. I’m looking forward my retreat later this year. I’m not sure where or when, but I know that God will provide the opportunity. One of my other resolutions for 2011 is to take more time away from my laptop, desktop and iPhone. 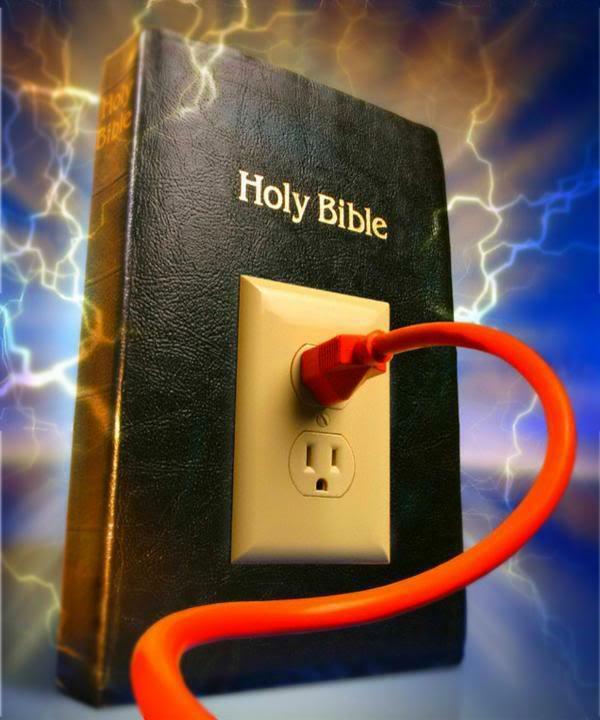 If I unplug from my electronics a little more, I’ll have more time to plug in to the One who is my ultimate destination. Patrick Novecosky is the founder and editor of The Praetorium. This article appeared in the February issue of Legatus Magazine. Reprinted with permission.